Gite all comfort located quietly in a greenery environment, at 10 minutes by car from the historic center of Saint Malo, with a fitted kitchen, dining area lounge and upstairs 2 spacious bedrooms and bathroom. 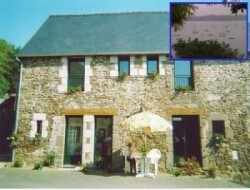 Holiday rental ideally located to visit the region being close to Dinan, Dinard, Mont Saint Michel and Cap Frehel. 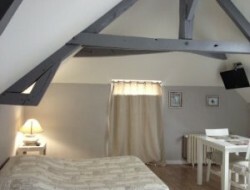 Between Rennes and St Malo, this holiday cottage is situated in the former house of the XVIIth century with exposed beams and monumental fireplace, at the bottom of a dead end. 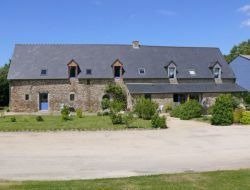 Near Saint Malo, rent of gites for 6 people situated in saint Suliac's village, classified one of the most beautiful village of France, in 50 m from the port, the beach, the sailing center and the hiking paths. View on the estuary of the Rance. 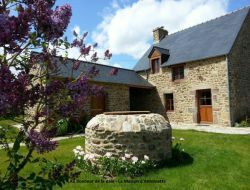 Gite for 2 people, romantic evening, with private spa buried and unlimited, in downtown Bain de Bretagne with all shops nearby. Outdoor pool heated from mid May to mid September to share with another gite. You will be in 15mn of Rennes, of Lohéac and the fair exhibition of Rennes. We propose you urban accommodation for 2 and 3 people, rented for a night, week or month, in full city center of Bain de Bretagne, with on the ground floor a shared terrace. These apartments are quiet, most of the bedrooms give onto the garden. All shops are nearby. the gites are in 20mn from Rennes and 45mn from Nantes. Sheets and towels included. WiFi free. 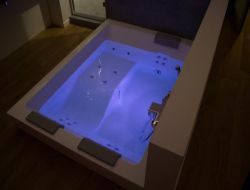 Ker Spa: A cottage completely independent, with Jacuzzi, to live in two, in complete privacy. At Dol de Bretagne, between Saint Malo and Mont Saint Michel. 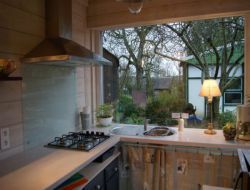 Stone cottage (classified clévacances: 2 keys) adjacent to the garden with in the rez of road: outing kitchen, living room, fireplace, tv and in the 1st floor: 2 bedrooms. Small terrace, court, barbecue, game for children, deckchairs, table-tennis table. In 2km: golf, fishing, equitation, swimming pool. 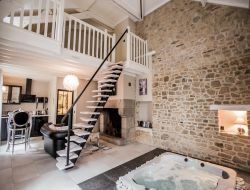 Situated in a peaceful setting in the magnificent bay of Mont Saint-Michel, an old 18th century farmhouse, two buildings have been recently renovated into charming gites in an atmosphere that combines the old with the modern while keeping the soul of The Breton house. Mont St Michel is of course a must, but other tourist attractions are worth a visit: St Malo, Cancale, Dinan, Granville, Bayeux, Caen and the D-Day beaches. Old bread oven, renovated with healthy and natural materials (hemp, wood wool, ...), this cottage on two levels has upstairs living room with sofa bed, TV and internet access and a double bed room. In the rdc a stay equipped with a stove, equipped kitchen, toilets and room of bath. Access to the garden, private terrace with barbecue. Parking on private parking. Quick access to the Rennes-Redon four lane. Near the exhibition center.